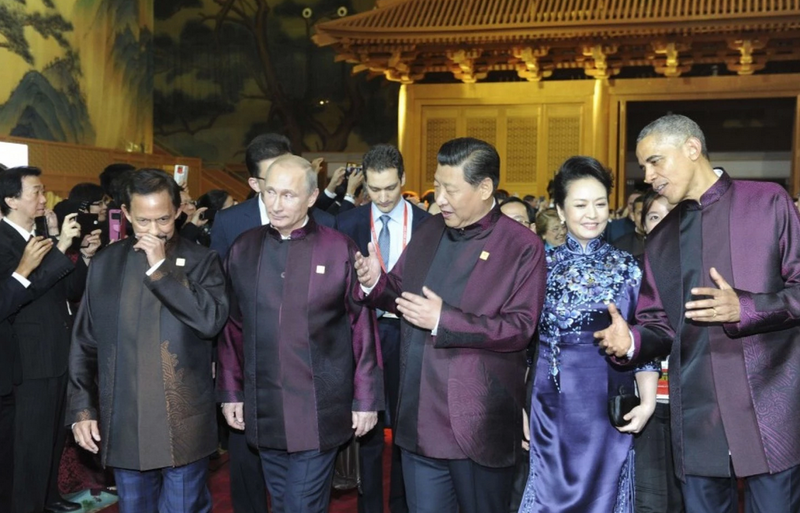 Note Vladimir Putin's lack of mirroring (see below) and facial expression of mild disgust, impatience and incredulity - can you differentiate these components? 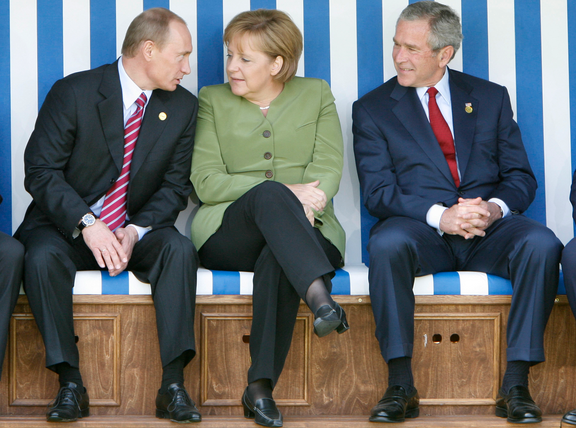 According to a 2008 Pentagon report, Vladimir Putin has Asperger's Syndrome. Asperger's is a subset of the larger Autism Spectrum disorder which is characterized by, among other things, a variable level of difficulty in social interactions, poor nonverbal communication skills, a relative lack of empathy, formal or distinct speech, obsessive interests, high affinity for routines, a delay in motor skills, difficulty understanding humor/metaphor/irony, distorted sensory sensitivity and repetitive behaviors. There are relatively few photos of the Russian President with a sincere smile. 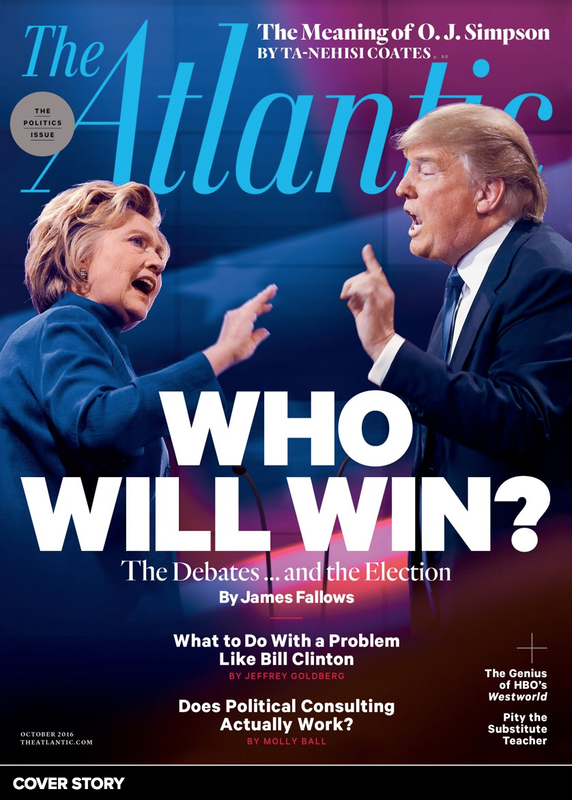 Often he very often displays facial expressions indicative of anger, incredulity, arrogance, boredom, and anxiety. 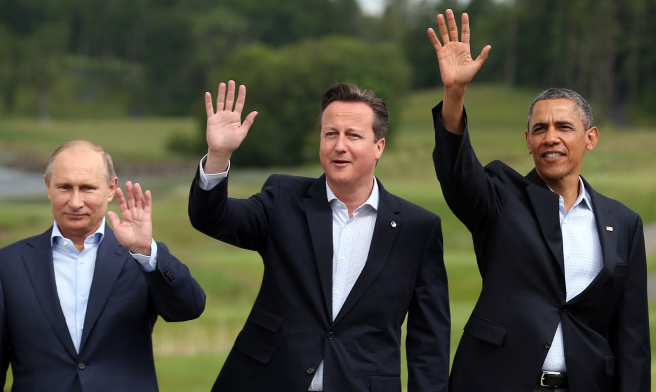 In this image with other World leaders, he's one of only two who is NOT smiling. 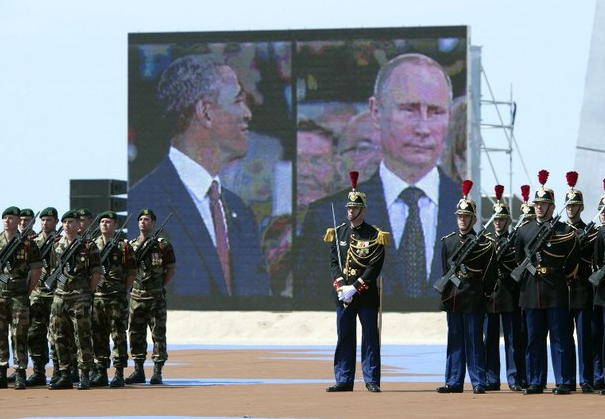 At the 70th Anniversary of the D-Day invasion last June, the camera focused on two of the most powerful World leaders - and while Obama smiled, Putin most notably didn't. 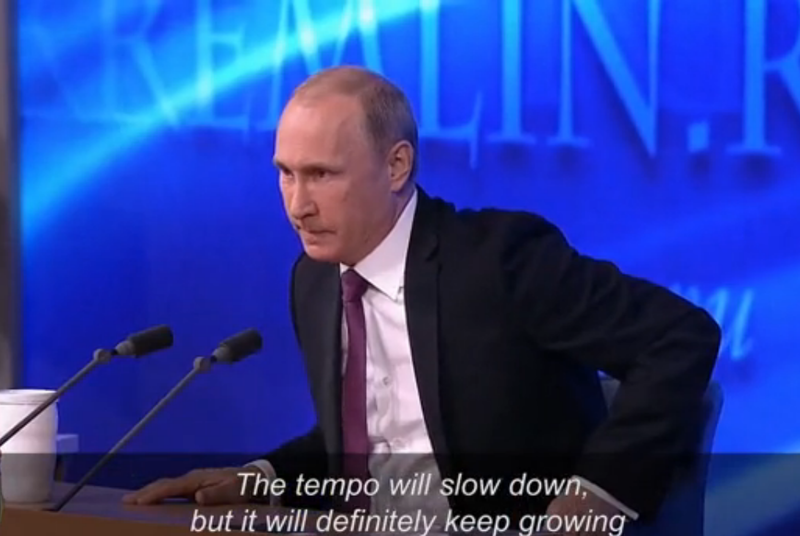 What is the primary emotion Putin is projecting here? 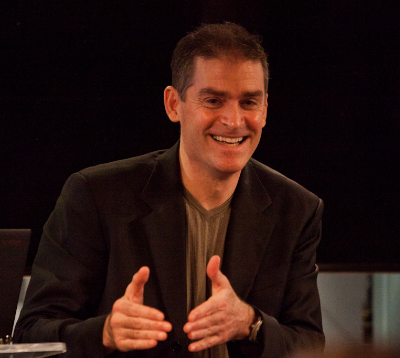 The overall degree and percentage for which a person mirrors another's body language is a good indicator of their level of empathy. Of course, this all requires context and no one mirrors all the time (nor should you want to), yet Mr. Putin rarely mirrors other leaders. And one thing most everyone would agree on - Vladimir has very little empathy. During virtually this entire press conference in mid-December 2014, Vladimir sat on stage and his body language screamed discomfort as he looked almost as if he was going to jump out of his chair. 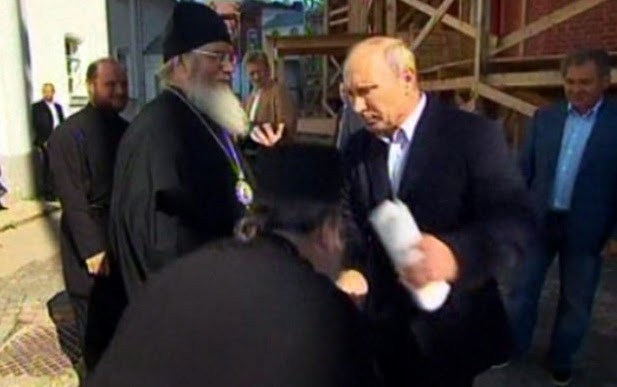 Here Vladimir responds with anger when a Russian Orthodox Priest attempts to kiss him on the hand. 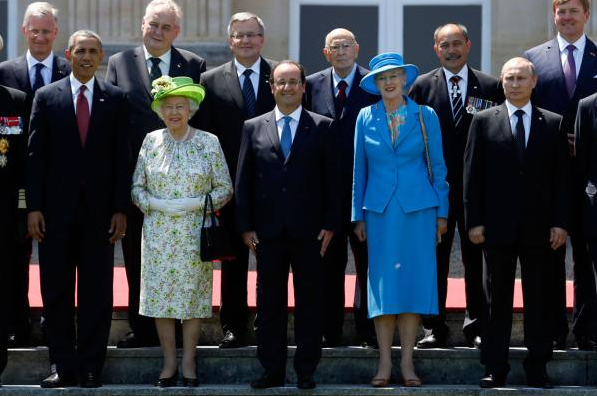 In this image, Putin appears quite awkward, uncomfortable and distancing himself from other leaders - this despite the fact he may very well be trying to keep to protocol in not touching Queen Elizabeth II. Individuals with Autism Spectrum Disorders often commit trespasses into other people's personal space. 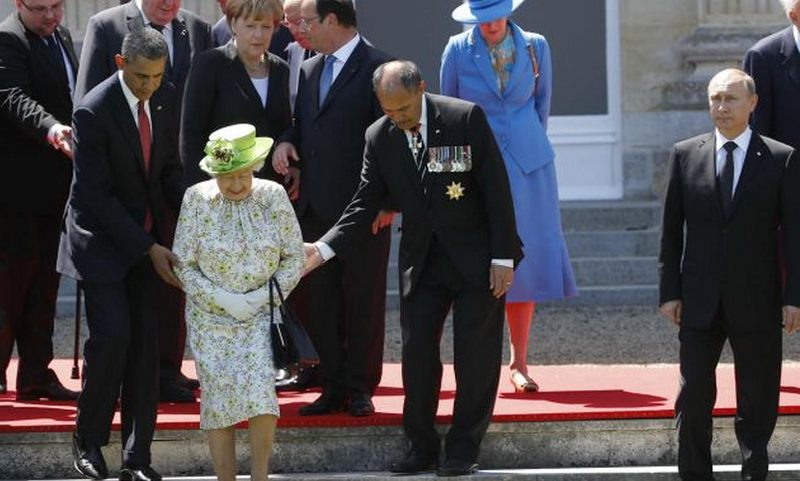 It almost seems as if Vladimir enjoys intimidating Angela Merkel. 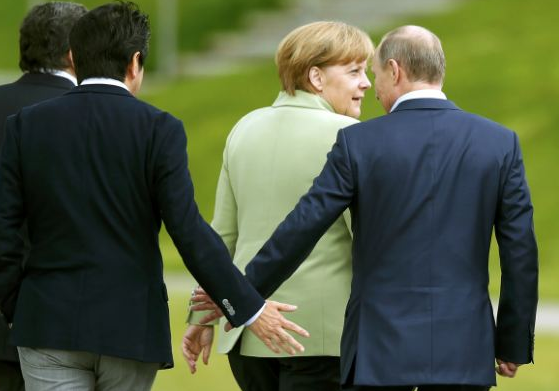 On another day Vladimir once again encroaches into Angela's space (Japanese Prime Minister Shinzō Abe does as well). Anyone who has carefully observed Vladimir Putin's behavior will note that he is indeed socially awkward and uncomfortable in lager gatherings. He also is very intimidated when he's off Russian soil and often seems uncomfortable in his own skin. He may or may not have this syndrome, yet much of his behavior is certainly consistent with Asperger's. Some well known and very accomplished people who have or may very well have had Asperger's Syndrome include Thomas Jefferson, Albert Einstein, Bill Gates, Charles Schulz, Michelangelo, Issac Newton, Dan Akroyd, Thomas Edison and Beethoven.